Patrick Gallagher has been operating his bus service since the early nineteen seventies when he was one of the pioneers on the mini-bus run between Donegal and Glasgow. 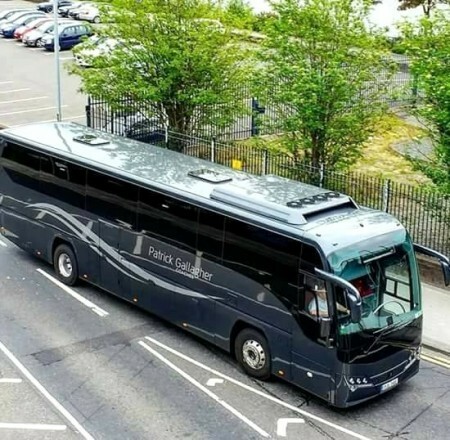 Now a mature family run business Patrick Gallagher Coaches offers a well established service between Donegal, Derry and Belfast. The company also provides a service for school runs, local social outings and trips to all major concerts and sporting events.